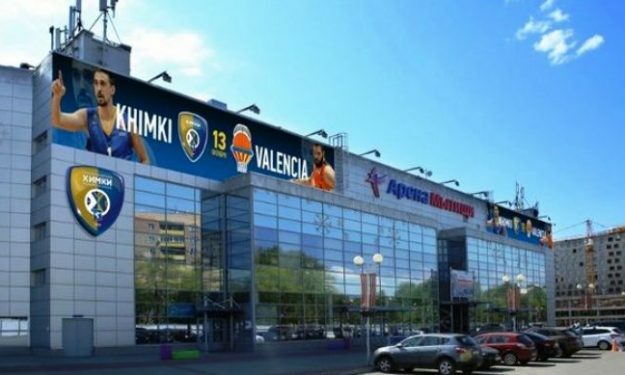 Khimki announced that they will use the “Mytischi Arena” (Mytischi, Moscow region), which meets all the requirements of the Euroleague, as their home court for the upcoming season. Khimki was informed by the EuroLeague two years ago that the Moscow Region Basketball center and also the Dynamo Sports Palace are not sufficient for the demands of the league. That’s why the “Mytischi Arena” was selected. The capacity of the venue is 7.000 seats, it has opened at 2005 and its original purpose was to be an ice hockey arena. As the GM of Khimki, Pavel Astakhov, admitted: “Moving to Mytishchi is a forced measure. We would be happy to stay in Khimki and host Euroleague home games in our beloved Basketball Center, but, unfortunately, it does not match the league regulations in terms of capacity. You need at least five thousand people, and even the Dynamo stadium in Krylatskoye does not meet these requirements, BC Khimki is still a team of the Moscow region, and in our region, there are only three arenas that meet the requirements. These are ice arenas in Podolsk, Balashikha and Mytishchi. As a result, we stopped at Mytishchi, since “Arena Mytishchi” is one of the most modern and comfortable stadiums in the Moscow region, which, moreover, is closest to Khimki”.